Rev. Hugh W. Robbins, CSV, died May 23, 2011 at 5:45 A.M. at St. Joseph Hospital in Chicago, IL with residence at Little Sisters of the Poor St. Mary’s Home in Chicago. He was 85 years old. Fr. Robbins was born in Chicago on August 30, 1926, the son of Wilfred and Sarah (Woods) Robbins. 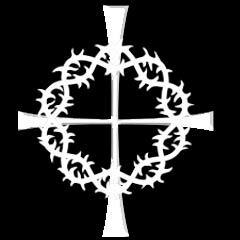 He was preceded in death by his parents, his brother Thomas and his sisters Idamae (Robbins) Grady, Jule and Sarah. He is survived by his brother Wilfred (Bill), his sister Marilyn (Robbins) Lawless, and several nieces and nephews. Fr. Robbins pronounced his first vows on August 16, 1945 and his final vows on August 15, 1948. He was ordained to the priesthood on May 18, 1952. 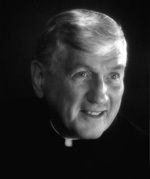 A graduate of Quigley Prep Seminary in Chicago in 1944, Fr. Robbins then attended and graduated from St. Ambrose College, Davenport, Iowa, where he received a B.A. in Art. He later attended and graduated from Catholic University of America in Washington D.C., where he earned an M.A. in Drama. Fr. Robbins taught at Cathedral Boys High School, Springfield, IL from 1952 to 1957, Bishop Gorman High School, Las Vegas, NV from 1957 to 1958, St. Philip High School, Chicago from 1958 to 1960, Alleman High School, Rock Island, IL from 1960 to 1967, Griffin High School, Springfield, IL from 1968 to 1969, Ursuline Academy, Springfield, IL from 1969 to 1974, John F. Kennedy High School, Seattle, WA from 1974 to 1976 and from 1982 to 1989, and Bishop McNamara High School, Kankakee, IL from 1977 to 1980. 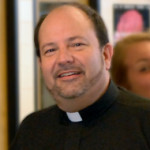 He was the administrator of parishes in the Alaskan Missions from 1980 to 1982 and Pastor at Sacred Heart Church, Oconee, IL and St. Joseph Church, Ramsey, IL from 1990 to 1993. Visitation was held at the Viatorian Province Center Chapel, 1212 E. Euclid Avenue, Arlington Heights, IL from 9:30 A.M. to 10:30 A.M. on Wednesday, May 25, 2011. A Mass of Christian Burial immediately followed. Interment was in the Viatorian plot at Queen of Heaven Cemetery in Hillside, IL. Please remember Fr. Robbins in your Masses and prayers.